Many normal website URLs start with HTTP:// which specifies the standard language for a browser to download a website. Unfortunately, that’s not secure enough to protect things like your login to your bank or any other site where you share important information like credit card numbers. A secure site begins with HTTPS://. HTTPS encrypts all the data between the browser and the website, protecting it from prying eyes. 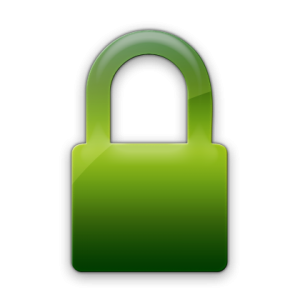 You should always check before filing out forms with sensitive information; the easiest way is to look for the green closed padlock symbol to the left of the URL. What if my site doesn’t take credit cards? It feels like it shouldn’t matter for a small business website that never asks for anything sensitive like a social security number or credit card. Therefore, why bother? Why spend money to change your site? Because Google cares! As far back as 2014 Google said they were using it as a ranking signal and that they would weigh it more and more heavily as time went on. Moz reported in 2016 that the portion of HTTPS sites on the first page of Google results had increased from about 5% to about 30%. Surely it’s even higher now. As a small business owner, you understand how tough it is to compete with larger, more established competitors. Every little thing that helps you rank better against them is critical to your business. Even though HTTPS is not yet one of the half dozen strongest ranking signals on Google, it’s getting more important day by day. 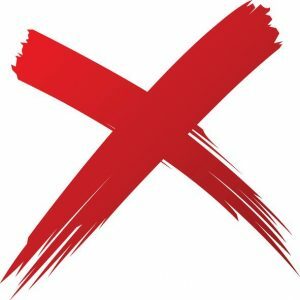 I believe now is the time it’s become important enough that it needs to be addressed, and earlier this year I converted this website to HTTPS. Why your small business website needs to be secure. Even your local small business competitors may be getting the jump on you by securing their own websites. You don’t want to be late to the party. Just see how widely this has become a “best practices” tool for you. How tough is it to do? Here are the three steps involved, thanks to Amy Gideon at TAG Online, Inc. Step 1: Obtain a secure certificate. The type of certificate can vary depending upon your hosting company and the level of security you want and need. So make sure to first check with your web hosting company on what type of certificate you need. Step 2: Once the certificate is installed, update your site to ensure that all links within the site are relative That means if your site displays an image called photo.jpg, the code that makes that image appear should be (assuming the image resides in the main directory): <img src=”/photo.jpg”> as opposed to <img src=“http://www.yoursite.com/photo.jpg>. This is good practice for many reasons, but it also prevents the site from loading non-secure images, as the “http://” prefix will no longer work and would be insecure. Also update your site to ensure that there are no links or references that display content (PDFs or images, for example) linked from outside sites that are not secure. Here is a link to a tool that will scan your website for non-secure content: https://www.jitbit.com/sslcheck/. Step 3: Test your site using HTTPS: if the green lock appears in the browser, then you can ask your web hosting company to redirect all requests to HTTP to now go to HTTPS. Whether you’re a do-it-yourselfer or have your webmaster do it, it’s time and effort well spent. Comments, opinions, and disagreements are all welcome below. Join the conversation! Need help with this or other aspects of optimizing your website? Give us a call. People still use the keywords meta tag. I shouldn’t have to write this post. Everyone should know that the keywords meta tag has been useless for years, right? Then why do I still see websites using sometimes elaborate and excessive meta keywords tags? Stop it! Don’t use them. Why? A little history might help. This meta tag began to be used more than twenty years ago — even before there was such a thing as Google. We were using search engines like AltaVista and InfoSeek and Ask Jeeves and Lycos. And we were advising our clients to use the keywords meta tag. The keywords meta tag was designed to help them know what searches to rank a page for. Sounds easy, right? Well, maybe a bit too easy. Back in 1995 you could look to see what the most popular search terms were. You still can, actually. 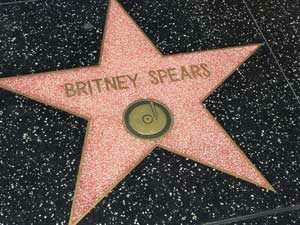 At the time, one of the most popular search terms was Britney Spears. For some website owners that was compelling. The theory went that if millions of people were searching for Britney Spears, let’s put her name in our keywords meta tag. Then search engines will send those millions of people to our website. Surely some of them will want to buy what we sell! It’s been worthless ever since. But myths and legends die hard. And as recently as 2008 Google Engineer Matt Cutts had to produce a video explaining that Google definitely does not use the meta keywords tag in ranking websites. Yahoo and Bing have confirmed that as well. The keywords meta tag will NOT help your site rank higher in Google. A keywords meta tag in your code might be seen as a spam signal: a ham-fisted attempt to fool search engines into ranking you better than you deserve to be. Spam signals are bad. Really bad. They hurt your rankings instead of helping them. You can still do it. But don’t. [Update 2/15/2018] Beyond that, the good folks at Yoast have just now removed any reference to the meta keywords tag and they explain why here. Bottom line: just don’t do it. Your opinions matter — especially if you disagree. Please share your thoughts in the comments below. 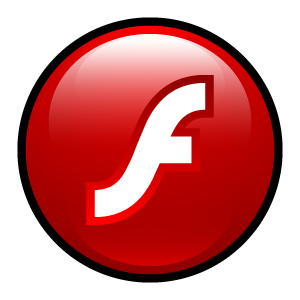 Is It Time to Abandon Flash? Do you really need to get rid of flash on your site? I’ve written about the demise of Flash in this blog as long as 10 years ago. It’s been a slow process, but it looks like it’s finally on its death bed. Recent news about the Adobe Flash platform for audio and video web content is not good. Google says it’s working hard to “make sure the web is ready to be Flash-free.” Already by default Flash doesn’t work on mobile or Chrome and having it on your site may be a negative ranking factor as a result. This morning, Adobe announced its roadmap to stop supporting Flash at the end of 2020. Working with Adobe and other browser vendors, Mozilla has prepared a roadmap for Flash support in Firefox, and guides for site authors to make their final transition away from Flash technology. We will phase out Flash from Microsoft Edge and Internet Explorer, culminating in the removal of Flash from Windows entirely by the end of 2020. Still using Flash on your website? Read this! Does that mean we have until 2020 to remove Flash content? Adobe has reportedly ceased development of Flash for all mobile devices, so industry watchers like LifeWire agree that it’s close to 100% certain that Flash will never be available on the iPhone. If you want your audio, video or animations to work on an iPhone, Flash is out of the question. The Google Play store isn’t supporting Flash for Android devices. That means that if you install a Flash player from elsewhere for your phone you won’t be able to get any bug fixes or updates . And as if to put a final nail in the coffin, Forbes has a recent article entitled “The Death Of Adobe Flash Is Long Overdue”. 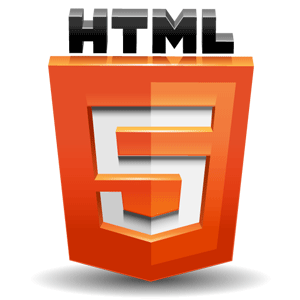 If you have Flash content on your site, it’s time to ask your webmaster about converting it to HTML5. If you’ve made that transition on your own site, please share your experience with us in the comments below. When it comes to your website slow speed kills rankings and conversions. Page speed refers to how quickly a page on your website downloads into a visitor’s browser or phone. It can be measured a few ways. Google and some other sources report a score for your speed on a scale of 0-100. Others display it in seconds. However you measure it, faster is always better. However you measure it, the faster your web pages load for a visitor, the better. I’ve written before about how a slow page speed can hurt your rankings in search results. Google has explicitly stated that how quickly a site loads into a browser is now a ranking factor. All other things being equal, a faster site will outrank a slower site. Google scores your site separately for download to a desktop/laptop computer and for a phone. It’s quite common for those to get very different download speed scores. And mobile speeds are usually slower than desktop speeds. Google is moving toward a mobile-first index, which means that the information they know about your website comes from the mobile version of your site, not the desktop version. Those two may be the same for a responsive site, but some websites actually have differing amounts of information between the two, usually with the mobile speed being slower. Since Google is now focusing on the mobile version of your website, it stands to reason that the page speed it measures on a phone is more important than the speed it measures for a desktop/laptop computer. Google really cares how fast your web pages display on a phone. We explain. Don’t test your visitors’ patience or put them to sleep with slow page speed. There’s another equally important reason to pay attention to your download speed: visitors. We are all increasingly stressed over time and as a result have less patience for watching a slow web page load in our computer. If your page is too slow, visitors may leave before the page ever loads for them. 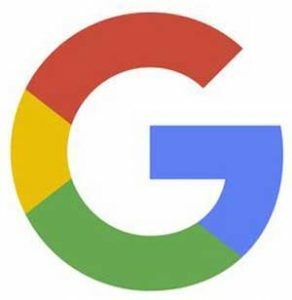 If they find you in search, become impatient and immediately go back to the search results to select something else, Google makes note of that as a black mark against your page. That will negatively affect your rankings moving forward. Needless to say, the more people who abandon your website, the fewer conversions (converting visitors to paying customers) you will see. 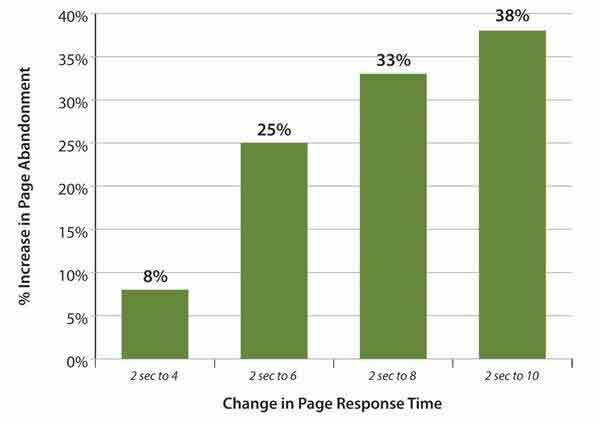 Compared to a page with a two-second page speed, one that takes six seconds can expect to lose 25% of its visitors to abandonment. There are several tools you can use to assess whether your page downloads quickly enough. Each of these measures and scores differently. You’ll get the best idea of your page speed by running and evaluating all of them. How to fix a slow page is beyond the scope of this discussion. It’s technical enough that most small business owners aren’t equipped to attempt it. This is something best left to your webmaster. If you’d like an idea of what’s likely to be involved, the folks at Moz list the main factors at play in this overview. This is just one of many factors that affect your online visibility when people search for what you do. We can help with the full array of optimization factors. Contact us for a free SEO consultation. How has your experience been, wrestling with your site speed issues? We’re interested in your perspective: please comment below. Back in 2010 I said your probably don’t need an XML sitemap. Well, it’s time to re-think that. An XML sitemap is a coded page or several pages that visitors to your site don’t see, but which search engines definitely do. It’s a list of every page on your website that can show search engines some extra information about your website. It indicates how recently each page has been changed or updated, how often each page changes, and how important each page is. Technically, you shouldn’t need an XML sitemap if your website is set up properly with impeccable site structure and thorough, easy-to-follow navigation that covers every page on your site. But if you’ve overlooked anything at all, an XML sitemap will compensate for that by showing Google, Yahoo & Bing all of the pages on your site. Here’s a little more on that. 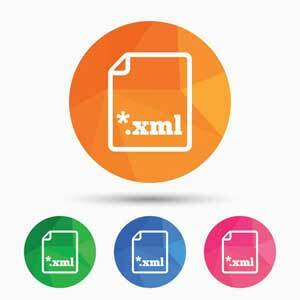 An XML sitemap doesn’t just cover your rear end in case your navigation is less than perfect. The additional information it provides allows search engines to crawl your site more intelligently. Yes, Virginia, your website does need an XML sitemap. Don’t worry that you need to laboriously code up an XML site map. There are a number of services that can create one for you. And if your website has been created in WordPress, the Yoast SEO plug-in will do it for you automatically. Just go ahead and do it. Join the conversation – let us know your experience in the comments below. Find this useful? If so, please spread the word with one of the social media Share links on the left. Need help with your company’s online visibility? Call us!